Microsoft Visual Studio is one of the most powerful integrated development environments available, with one downside: it's only available for Windows. 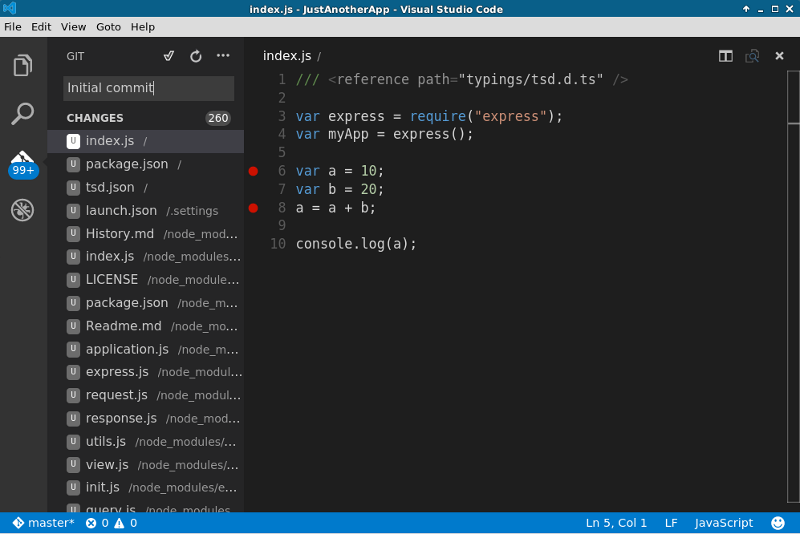 In order to attract Linux and Mac users to the Visual Studio family of development tools, Microsoft recently launched Visual Studio Code (or VSCode for short)—a truly cross-platform code editor that is both fast and light-weight. 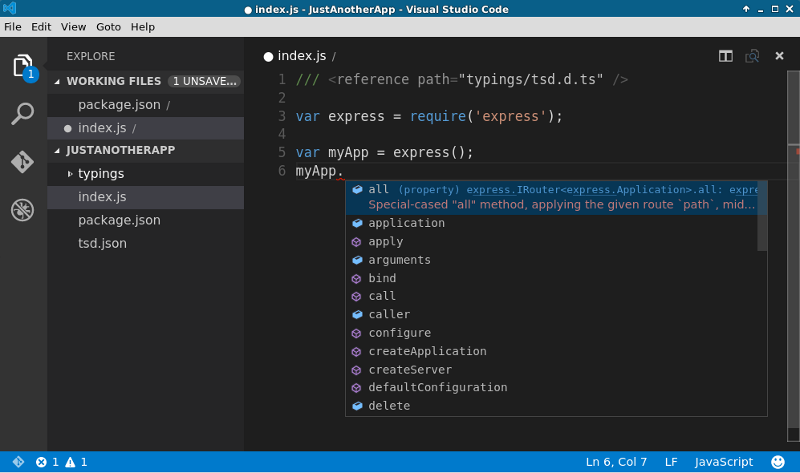 VSCode works equally well on Linux, Mac, and Windows. However, because Microsoft Visual Studio 2013 itself is available on Windows, VSCode is most likely to see more adoption among Linux and Mac users who, until now, had to make do with simpler alternatives such as Sublime Text, Atom or Komodo Edit for web development. support for build tools such as Gulp and Jake. In most of the other popular code editors, these features are only available after you install the appropriate plugins manually—if they are available at all. 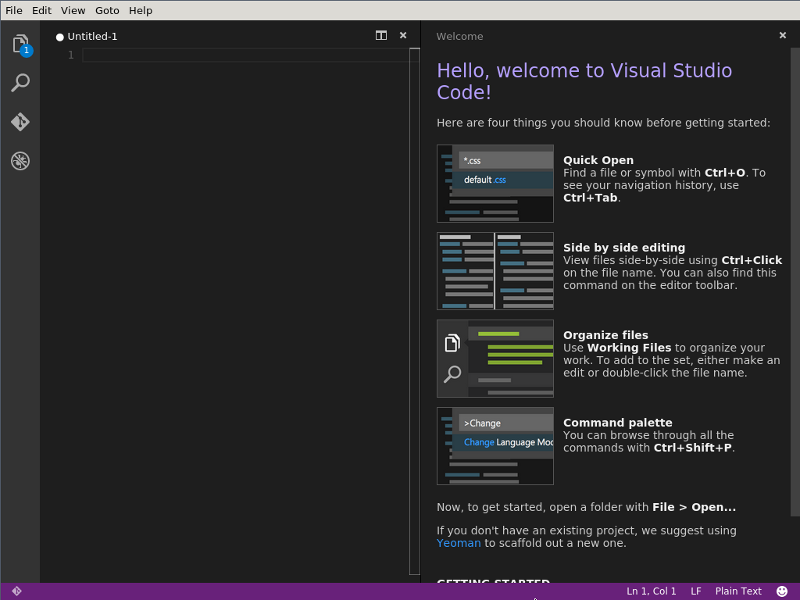 In this tutorial, I'm going to show you how to install and use VSCode on Ubuntu, one of the most popular Linux distros. Note: if you're a Windows user, you can still follow this tutorial by skipping all the command-line installations. You just have to use the Windows installer instead, which sets everything up for you. 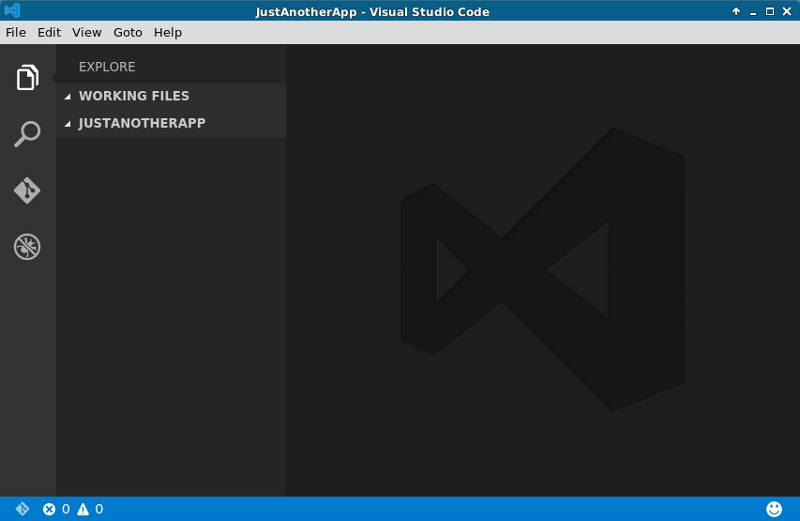 Create a directory for VSCode. Enter that directory, and use wget to download VSCode. Extract the archive using unzip. Create a link to the executable named Code inside /usr/local/bin/ so that it can be run from any directory. To solve this problem, you need the relevant TypeScript type definitions. To get these definitions, you can use TSD (TypeScript Definition manager for DefinitelyTyped), an npm module. You can now install Mono using apt-get. 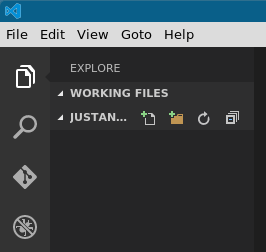 On all platforms, VSCode supports Markdown preview, and it works without any additional installations. When you are editing a markdown file, pressing Control+Shift+V at any time will display a preview of the file. 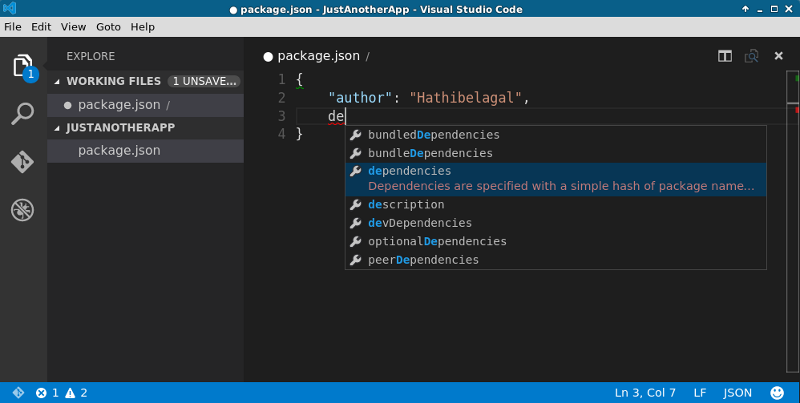 You now know how to install and run Visual Studio Code—the first development tool from Microsoft's Visual Studio family that supports Linux—on your Ubuntu system. Though the set up process is slightly involved, you should give it a try in order to experience its slick and streamlined interface that's optimized for web development. 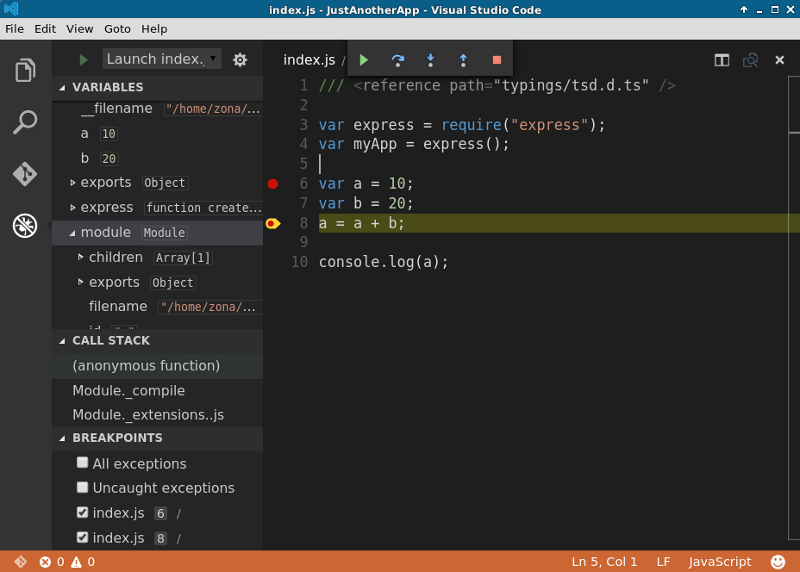 As of May 2015, VSCode was still in preview, with improvements and new features likely to appear in following months. Updates are easy to install, and are available for all platforms at the same time. If you have any questions or comments about this guide, please let me know. Have you tried VSCode already? If so, what did you think?